Are you tired of looking at over priced North Carolina Mountain homes for sale in the wrong areas? Let us show you the best mountain homes, real estate and Asheville North Carolina homes available here in the area. We are experienced developers, builders and Realtors that show our clients the best North Carolina mountain homes for sale in the area. 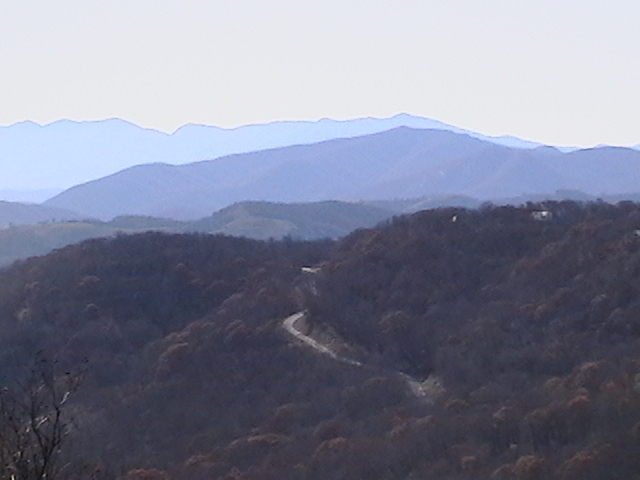 Let Green Mountain Realty show you the best North Carolina mountain homes for sale here today. Visit NC and see our North Carolina mountain homes for sale now. I have a question about the property at 10950 Arthur Auten Road Huntersville NC 28078 (#3464134). I would like to schedule a visit for the property at 10950 Arthur Auten Road Huntersville NC 28078 (#3464134). A short 4-mile, scenic drive from the enchanting town of Banner Elk, will confirm the tranquility of Exclamation Pointe. As you enter the gates, experience a property like no other with 360 views of Banner Elk, Sugar, Grandfather & Beech Mountains! This truly special estate features a main house (7B|7.5Ba with heated floors), guest cottage (3B|3Ba), art studio (1/2 Ba), state-of-the-art barn (1Ba) & vineyard. Encompassing almost 8,000 heated sq. ft. & over 1,000 unheated sq. ft., enjoy the main floor with open kitchen (adorned with custom cabinets & Viking appliances), living room with picture windows & fireplace, master suite with luxury bath, walk-in closets & private balcony, 2 beds with private baths & more. Take the pneumatic elevator to the office on the upper level or to the lower level with 2nd master suite, 2 beds & 2 baths, bonus, den with fireplace & more. Above garage living with bed, bath, kitchenette & den. Enjoy all 4 NC seasons from the screen porch with fireplace. I have a question about the property at 1723-1725 Shawnee Road Banner Elk NC 28604 (#3398896). I would like to schedule a visit for the property at 1723-1725 Shawnee Road Banner Elk NC 28604 (#3398896). This luxurious, 10,545 SF Patrick Joseph award-winning waterfront property speaks to the homeowner who loves quality craftsmanship, quiet elegance, mountain waterscapes, and weekly regattas. The 160' West by North-West lakeshore frontage reveals beautiful panoramic views of the distant Carolina mountains and spectacular lake sunsets. The majestic pines that grace the lot have been professionally limbed to frame the already stunning panorama. The rosewood staircase opens on the second floor into a 22'x 18' rosewood parlor with circa 1919 backlit stained glass. The 4,280sq 2nd floor includes a 16'x 9' private rosewood reading room with circa 1919 stained glass peacocks, 2-room guest suite with private lakefront balcony, two additional bedrooms and baths, and a 1200 SF office suite, private curved balcony and bath that can be readily converted into a grand suite or bedrooms. The 3rd floor offers a soaring 17' ceiling, walkout lakefront balcony, and the fourth 50 wood-burning fireplace. I have a question about the property at 18925 Kyle Lane Cornelius NC 28031 (#3389308). I would like to schedule a visit for the property at 18925 Kyle Lane Cornelius NC 28031 (#3389308). Beautiful 130 acre mountain property features amazing mountain views, private waterfalls, creeks and nature trails. Bradley Creek Falls mountain top lodging and event center offers a multitude of opportunities from the ultimate family compound, to weddings, special events, conferences, camps or development. Accommodations for up to 42 people in six private residences, each with their own kitchen are included in The Tree House, Mountainside Lodge, and the Woodlands Cottage. Plus there's reception and meeting spaces which can handle groups of up to 150 guests. There's a combined total of over 12,000 square feet total heated and cooled under roof. Please check out the drone video with this property for a birds-eye view! Conveniently located between Ashville, NC and Greenville, SC and close to Brevard, Dupont State Forest and Hendersonville! I have a question about the property at 925 Pine Shore Drive Brevard NC 28712 (#3488829). I would like to schedule a visit for the property at 925 Pine Shore Drive Brevard NC 28712 (#3488829).